Litigation is one tool with which Peconic Baykeeper furthers its mission. We may elect to bring a lawsuit under several laws, the most important being the Clean Water Act. This law prohibits the discharge of pollutants into most surface waters without a permit that restricts the discharges. Peconic Baykeeper enforces compliance with such permits and prosecutes unpermitted activities that should be regulated. We also may seek the review and annulment of agency “actions.” All levels of government may take actions that adversely affect our mission waters. Actions may be direct, such as when a municipality adopts its own zoning plan, or indirect, such as when a municipality grants site plan approval to another person for a development. The decision-making of public agencies has procedural and substantive legal constraints. These constraints are designed to provide a fair and full, fact-based transparent review with objective decision-making criteria. Peconic Baykeeper will sue when the review process fails to address relevant environmental issues or the review process itself breaks down. Finally, we review and comment upon proposed rules issued by agencies relevant to our purposes, and we will challenge illegally adopted rules whose implementation would adversely affect our mission waters. 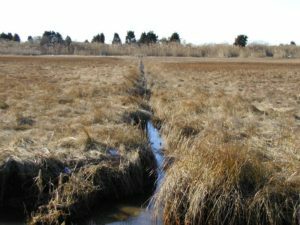 Halting Suffolk County’s environmentally destructive wetlands ditching program for mosquito control. Closing 54 cesspools in New York State parks, including 36 on Long Island alone, that violate the Safe Drinking Water Act. Blocking or limiting large-scale development in environmentally-sensitive areas throughout Suffolk County.